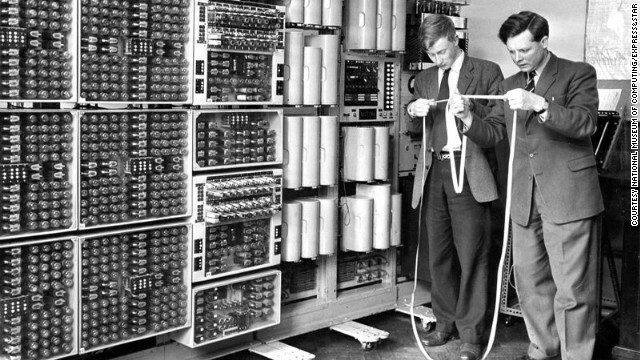 The WITCH computer, first used in the 1950s, reads programs that are punched into strips of tape. (CNN) — The WITCH is back. If you want to see the machine for yourself, it’s on display at the National Museum of Computing in Buckinghamshire, north of London. It’s located on the Bletchley Park estate, which was home to England’s codebreakers during World War II.